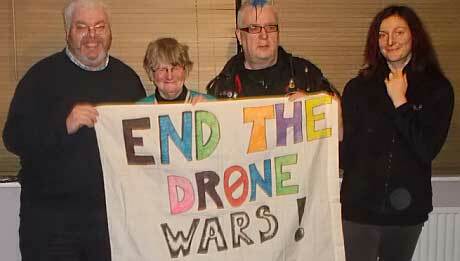 On Wednesday 27 May, four British drone protesters (including myself) will go on trial at Lincoln Magistrates Court. We are accused of criminal damage to the perimeter fence of RAF Waddington after cutting a hole to gain entry on January 5 2015 – the first working day of the new year. Arguably this was the day that UK armed drone use moved from being limited and provisional (the armed Reaper drones were acquired only on a limited basis until the end of Afghanistan operations at the end of 2014) to being permanently available for armed remote operations anywhere and at any time. Our intention was to disrupt the ongoing and unlawful drone flights that are taking place from the base (see our statement here). We knew that our presence inside the base would trigger Operation Round-Up – an RAF security procedure whereby the base is shut down and no-one is allowed to enter or exit the base or move between buildings – which we believed would likely impact the drone operations. We were originally also charged with aggravated trespass (disruption of lawful activity). However this gave scope for us to raise questions and obtain documentation due to disclosure procedures about the legality of what was happening at RAF Waddington, so these charges were dropped as they had been against drone protesters who occupied a factory near Birmingham last year. In fact behind the scenes much has been done to limit the potential impact of this case with an extremely short time set for the trial which our lawyers have tried time and again to challenge. In addition we have been told we cannot bring expert witnesses nor argue some of the defences which we want to put forward. We continue to challenge this – indeed on Tuesday afternoon (26 May) the day before we are due to go on trial there will be a further hearing to argue against these restrictions. While it’s impossible to be sure, I suspect this all may be something of a reaction to the previous drone protest trial in Lincoln where, after listening to our arguments, the Judge praised the protesters and only convicted “with a heavy heart”. For me the difference between the way that our minor misdemeanour has been treated is in stark contrast to the unlawful activity taking place at Waddington. While our actions have led to arrests, our houses being searched, notebooks, computers and other personnel items seized, the breaking of international law from Waddington – including armed Reaper flights into Syria to aid US bombing there – have been simply ignored. The breaching of international law by our drones it seems is rather less important than the breaching of fences by bolt cutters. 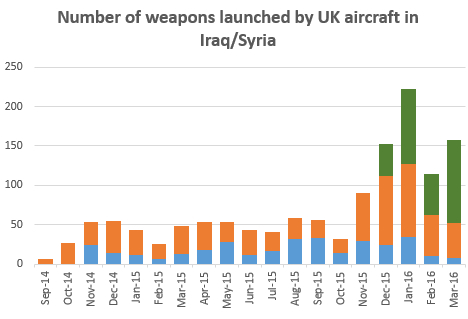 No doubt prosecutors and supporters of military intervention will argue that the UK’s drone flights into Syria (around fifty such flights have now taken place) are merely for intelligence, surveillance and reconnaissance purposes and are therefore not really military intervention. 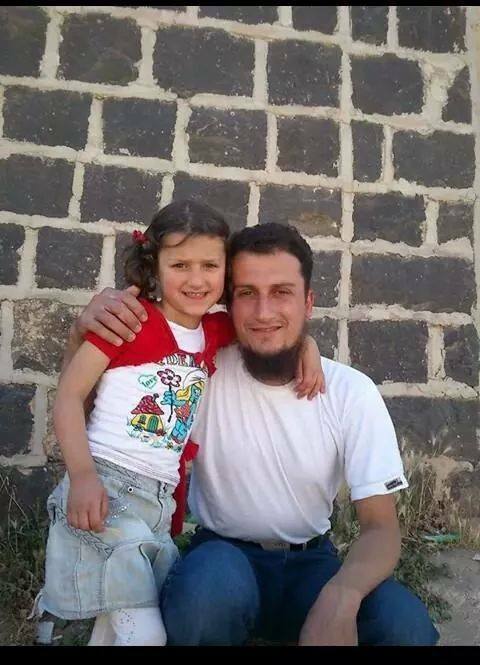 Laughably government spokespeople have even suggested that these flights do not amount to military action. This is pure nonsense. UK Reaper drone flights into Syria are in clear breach of international law, and go beyond that authority given by parliament. Under international law it is unlawful to intervene militarily in another country without UN authorisation unless acting in an immediate emergency for self-defence purposes. The Defence Secretary Michael Fallon is well aware of this as, when questioned by John Cryer MP in February about the possibility of UK military involvement creeping into Syria, he stated: “we have authority under the terms of the motion passed in this House to act in Iraq but not in Syria.” It seemed to have slipped Fallon’s mind when speaking that UK Reaper drones were operating in Syria. Rather than undertaking unlawful militarily action, which as we have in recent past only exacerbates and spread insecurity problems, we need to engage in nonviolent political and diplomatic solutions. 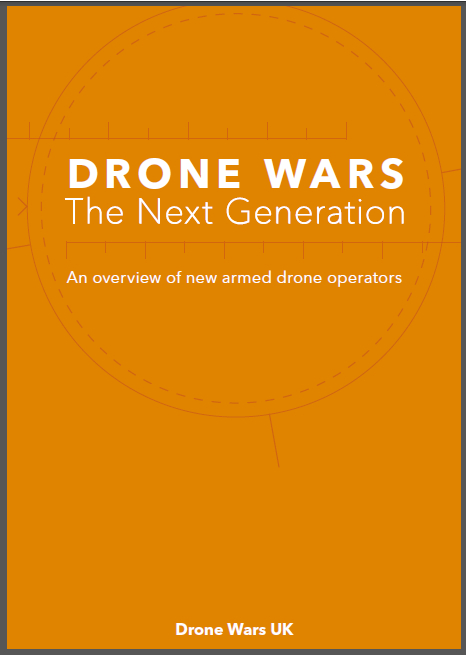 Over the past few years we have seen how the use of armed remotely piloted drones have begun to lower the threshold in relation to resorting to war (jus ad bellum) and are eroding international law norms within the situation of armed conflict (jus in bello). 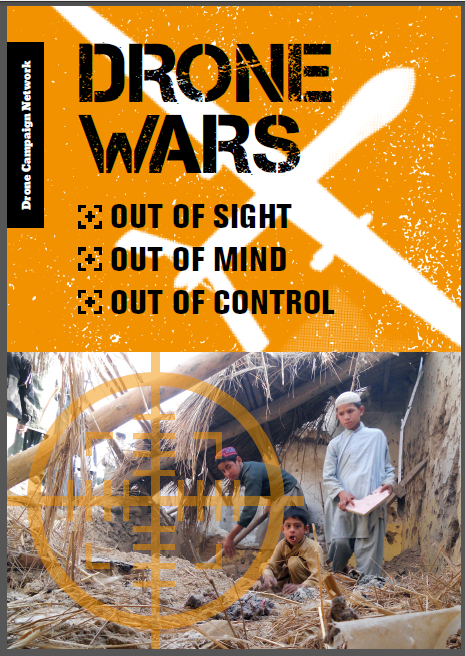 From Pakistan to Yemen to Syria drones are being used to undertake unlawful military intervention and contravene the laws of war. It is right that people of good will challenge this unlawful and dangerous threat to global peace and security. STOP PRESS: Trial postponed until October!